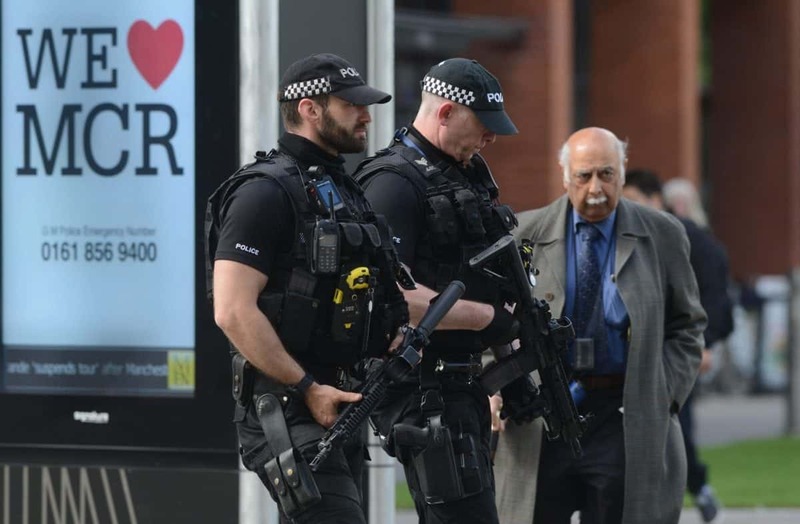 Armed police will be deployed on board trains nationwide for the first time as security is stepped up to unprecedented levels in the wake of the Manchester bombing. From this afternoon (THURS), specially trained firearms officers will be patrolling on board train services all over the country. This mobilisation is part of British Transport Police’s plan to ensure that passengers are safe on the rail network. Senior officers say passengers who regularly use train services may see a ‘firearms presence’ on their trains whilst the country is at a “critical” threat level. Armed officers have been regularly patrolling on the London tube network since December, but this will be the first time they will patrol on board train services elsewhere in the country. Police said passengers should not be “alarmed” by their presence and know that officers are there to disrupt and deter criminal activity. Chief Constable Paul Crowther, of British Transport Police (BTP), said: “Since the devastating events in Manchester on Monday evening, our force has radically increased the presence of our officers nationwide. “Our patrols will be highly visible and passengers should feel comforted by their presence. Please do speak to them if you have any concerns at all. “This is part of our national mobilisation plan to deal with the current and ongoing threat. He said since the Government enacted Operation Temperer, BTP has been reinforced by additional firearms officers from the Ministry of Defence Police, who will remain at stations in London. Chief Constable Crowther added: “I want to take this opportunity to remind everyone to stay calm, be vigilant, and if you spot anything at all which gives you cause for concern, let us know. “In light of the dreadful events over these last few days, and the increase to the national threat level, nothing should be considered too trivial to report and any information – regardless of whether you feel it is significant or not – may be important to all of us.